I remember back in the mid-90s I was really getting into what I called “slack rock” not sure if that was ever a term, but I used it. The bands that I would be referring to would be, but not exclusively – Pavement, Built to Spill, Silkworm and Modest Mouse. In one of my bands, our bass player was SO into Modest Mouse, so I would get hit with Modest Mouse jams often. But just like all things, years go by, and things fall of the radar. Modest Mouse got on my radar again when I heard that Johnny Marr was on guitar duties and I went though a re-discovery phase, and again, I was really impressed with what this band is capable of. Isaac Brock immediately grabs you vocally and his signature pitch guitar action is so hooky. I remember when I first heard this band, their uniqueness is what stands out! 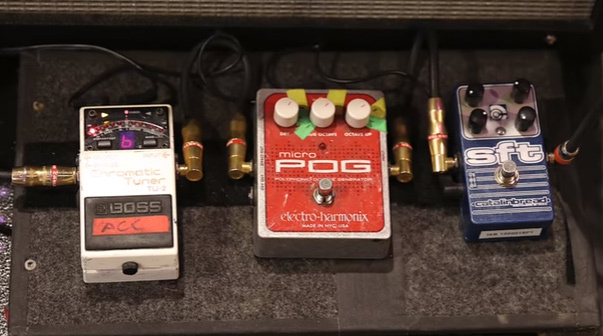 Here is the break down of boards used by Jim Fairchild of Modest Mouse. If you see anything incorrect or missing, please let me know by commenting below. Do you like Modest Mouse? 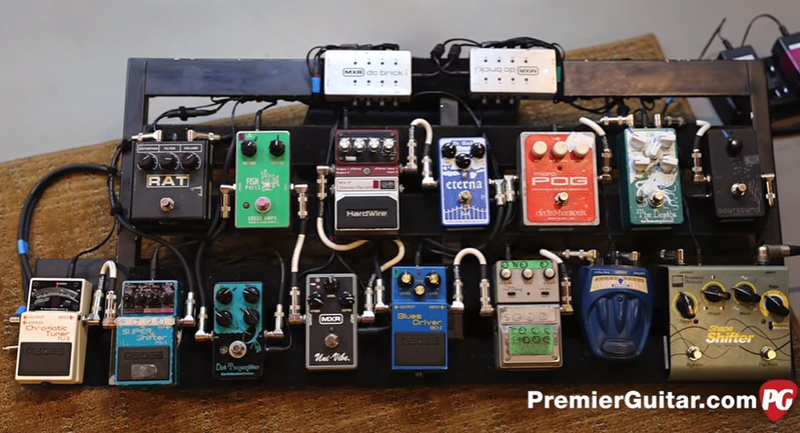 Did you like this Rig Rundown? Let me know by commenting below!